Nuts are natural foods which have large amounts of rich nutrient and mineral content. When you feel hungry in any situation where you cannot able to eat a heavy healthy meal, then look no further because nuts will provide you the necessary energy. Brazil is a nut which provides you more health benefits than your average not. This is a small size nut which is popular for the richest food source of selenium. Taking at least 2 nuts per day will serve the daily need of minerals in your body. Just be aware many people are allergic to Brazil nuts and can have very severe effects. Make sure to get an allergy test. Overall selenium is a health agent which is used to maximize the metabolism level in your body, speed up the functions of immunity system and reproductive health. If you want to achieve the goal of reducing the abdominal fats, this will help you get your goal. Generally, the walnuts are fully packed with polyunsaturated fats which help you to reduce the abdominal fats and improve the insulin metabolism. Walnuts will also help with maintaining your weight and also provides antioxidative properties which inhibit free radicals. The intake of walnuts are beneficial for the liver health due to in agent called polyphenols and helps to prevent the liver from being damage damaged over time. One of the most popular ones, it is rich in an amino acid called L-arginine which help you to burn more carbohydrates while you are out and about such as exercising. 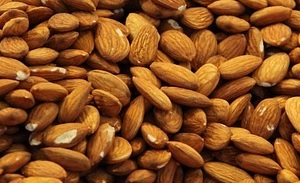 Most of the researchers also suggest almonds is very effective in the process of weight loss. You can kind of see a theme here with these nuts with helping with weight loss. Almonds are popular in a dessert called Tartar de Santiago(read here). The reason why almonds are also good and will keep your waistline is because of its high-calorie content, they will satiate you very quickly and make you feel full.